WDM technologies are considered to be the most cost-effective solution to expand the existing network without adding additional fiber optic cable. The two types of WDM architectures—CWDM and DWDM have already been widely deployed in current network systems and can support 40G/100G network easily. DWDM has advantages over CWDM as it can multiplexing more wavelengths. 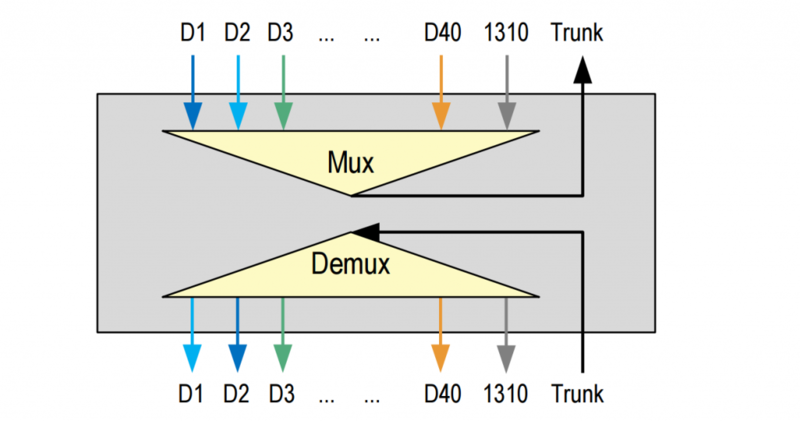 Does 40-Channel WDM MUX/DEMUX Stop at 400G? For the traditional 40 CH DWDM MUX/DEMUX, each port is connected to a transceiver by a length of patch cable. Currently the most commonly used optics for DWDM are 10G SFP+ modules. Thus, for a 40 CH MUX/DEMUX, up to 400G can be reached by using forty 10G DWDM SFP+ modules. Is that the limitation of DWDM network? One of the most significant spirits of this industry is challenging the limit of data rate. 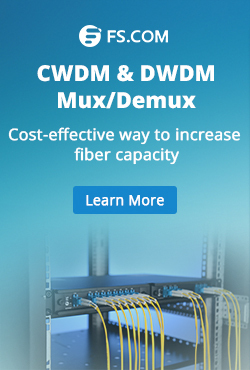 Actually, with a small change on the DWDM MUX/DEMUX, the capacity of DWDM network can be largely increased and it doesn’t cost much. This post will take an example of the most commonly used DWDM MUX/DEMUX which has 40 channels (from C21 to C61) in a 1R rack. But the 40 CH DWDM MUX/DEMUX that we use is a little different from the traditional ones. The difference laying at the front panel of the 40 CH DWDM MUX/DEMUX—a pair of 1310 nm port is added to the device. And this is the key point why we can move another step on forward the way to increase DWDM network capacity. The following picture show the logical setup of this 40 CH DWDM MUX/DEMUX. 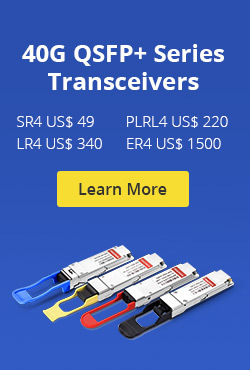 The 1310nm port can be used for 40G/100G transceivers, like 40GBASE-LR4/ER4 or 100GBASE-LR4/ER4 transceivers. The 40G/100G signals can be multiplexed with the other 40*10G signals on the other 40 channels. Together with this pair of 1310 nm port, a 40 CH DWDM MUX/DEMUX can run up to 500G. Here offers the detailed cabling solution for this 40CH DWDM MUX/DEMUX with 1310nm port. Kindly contact sales@fs.com for more details. This entry was posted in CWDM & DWDM Mux Demux, WDM Optical Network and tagged 40CH DWDM Mux Demux, DWDM 40CH multiplexer, DWDM MUX DEMUX on May 27, 2016 by Alice Gui.